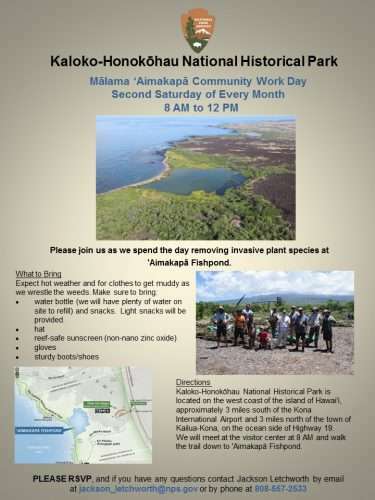 We hope you can join this Saturday, March 9th, as we put our hands to the ‘āina to mālama ‘Aimakapā. This is our first official workday of 2019! 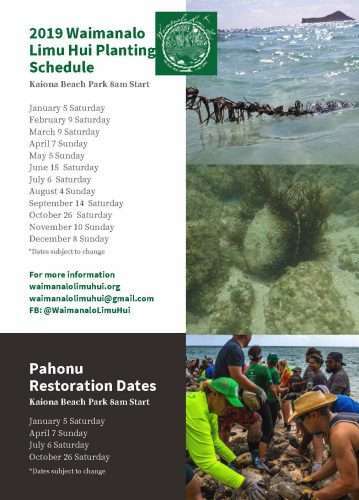 Work at ‘Aimakapā Fishpond will begin at 8 AM and last until just before lunch. Please bring any food or snacks you may need to sustain you during the day. Plenty of cold water will be provided. Please RSVP if you plan to attend. Mahalo!